Horsager, head of the Trust Edge Leadership Institute, has done extensive research issue about trust and how it plays out in business. He cited Volkswagen, Harvey Weinstein and Tiger Woods as examples of business leaders who lost customers because of trust. “Tiger Woods lost $150 million in sponsorship money in two weeks because of trust issues,” Horsager said. The speaker went on to provide an actionable framework around the “8 Pillars of Trust” based on work he has done with companies. Horsager cited case studies from Caribou Coffee and other businesses on how they rebuilt their corporate cultures around some of the pillars. “Every leadership issue revolves around trust,” Horsager said. 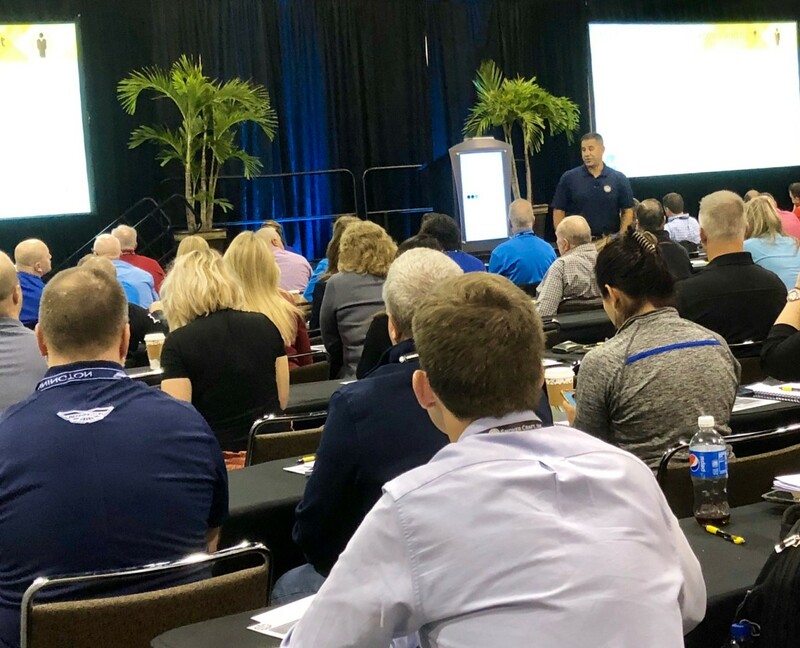 Liz Walz, MRAA vice president and director of education, said each year’s education component has been built around the needs of the dealer base. In addition to the two presentations, there are four educational tracks, or different levels of education, with five sessions in each track. There are also workshops and roundtable discussions during MDCE. It takes time to decide on keynotes, Walz said, mostly because they are the single largest expense of the educational program. 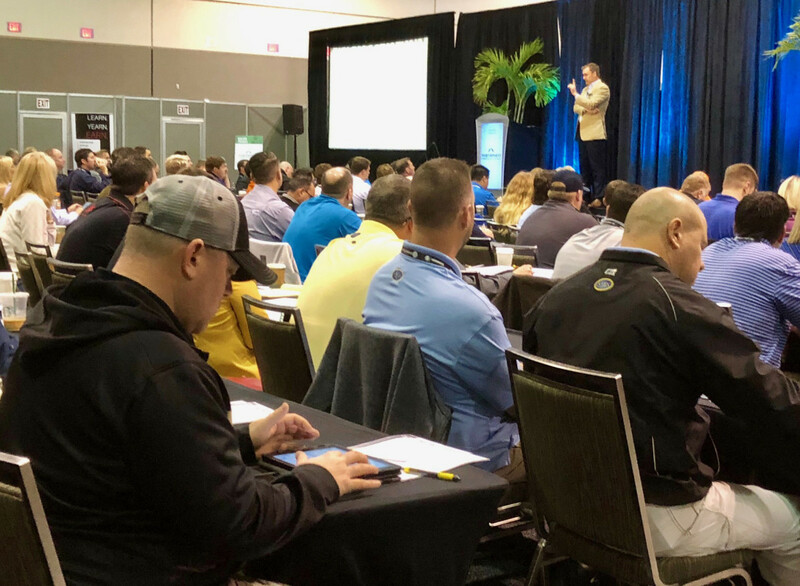 “We’d been talking to David Horsager for five years and agreed on a presentation that would best work for our dealers,” said Walz, who was clearly pleased after his keynote address. Horsager’s presentation, for instance, includes a 10-week follow-up plan for dealers to work his program. 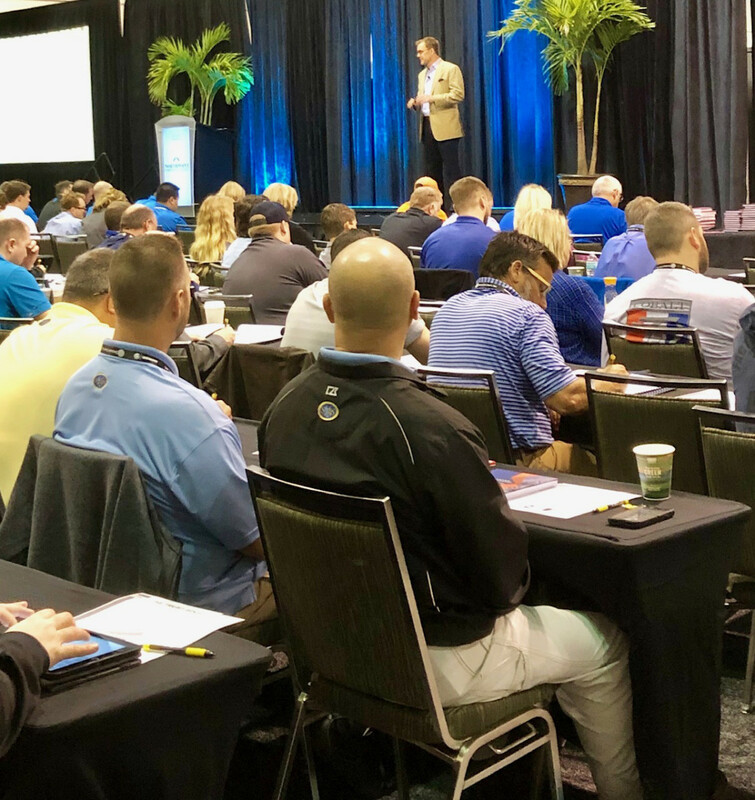 The three-hour workshops were developed for dealers who wanted a “deeper dive” into certain topics. “These are the most actionable courses, and we can often customize the topics for the classes, which tend to be smaller,” Walz said. The four tracks have expanded over the last few years into such topics as sales, marketing, leadership and service-plus, Walz said. “The expansion into these subjects shows the trajectory of the show over the last three years,” she said. The remainder of MDCE will include the track sessions, dealer roundtable discussions and networking events. On Wednesday, the track sessions will continue until 3 p.m., at which point the expo hall closes as the event ends.